Congratulations on your new born (s)! While you smile and gaze lovingly at the baby in your arms, and think that the nightmares of battling morning sickness, backache, fatigue, diet control, water retention, hair loss and dry/itchy/oily/sensitive skin issues are a thing of the past now, is it really though? OK… so that luminous glow that should have appeared during the nine months of pregnancy did not quite happen (sobs! )… But now that the bun is out of the oven, why are all the prenatal symptoms still plaguing us? Are they ever going away? Will we ever get our glowing skin back? Will our hair grow back? And … will we ever get to sleep through the night again?? (No) thanks to skyrocketing hormones, more than 50% of pregnant women develop a “pregnancy mask” also known as melasma or hyperpigmentation – the darkening of pigmentation around the cheeks and forehead. Elevated levels of estrogen and progesterone trigger melanocytes, causing dark spots to appear on the skin. To prevent melasma, women should avoid the sun at all costs while pregnant and after giving birth. The sun’s ultraviolet rays cause melanocytes to produce the pigment melanin, which can cause melasma to develop. #preventionisbetterthancure so do remember to use enough sunscreen to keep the UVA & UVB rays at bay. 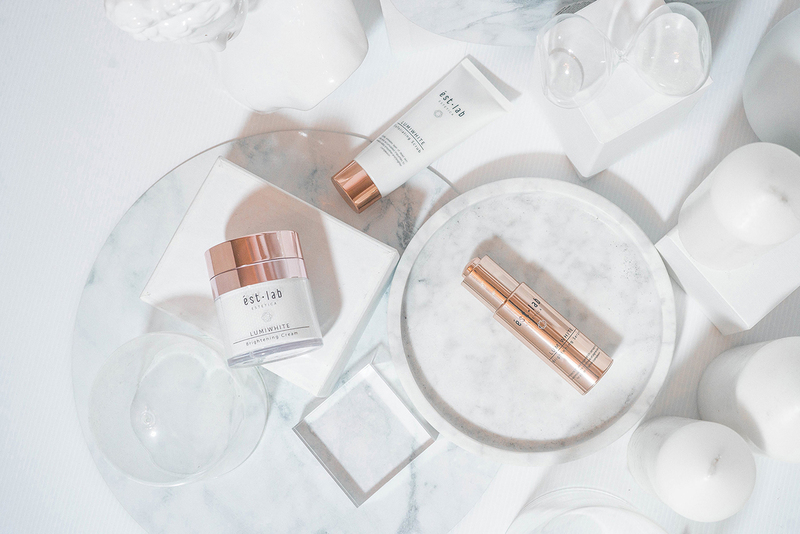 At the same time, try out Estetica ést.lab’s LumiWhite Skincare Range. They are formulated to work effectively against dark spots: the LumiWhite Exfoliating Scrub uses all-natural biodegradable exfoliating beads to remove dead skin cells; the LumiWhite Brightening Serum inhibits melanin formation and the LumiWhite Brightening Cream brightens dull skin. During pregnancy, you can expect a full, luscious head of hair due to the increase in the level of estrogen hormones during pregnancy. Estrogen causes hair to remain in the growing phase and stimulates the growth of your hair. About three to four months after childbirth, these hormones return to normal levels, which is why many new moms see noticeable hair loss after childbirth. Do not fret! This hair loss is temporary and should return to normal within six to 12 months. To stimulate your hair follicles and promote new hair growth, try brushing your hair with a soft natural brush every morning and evening. 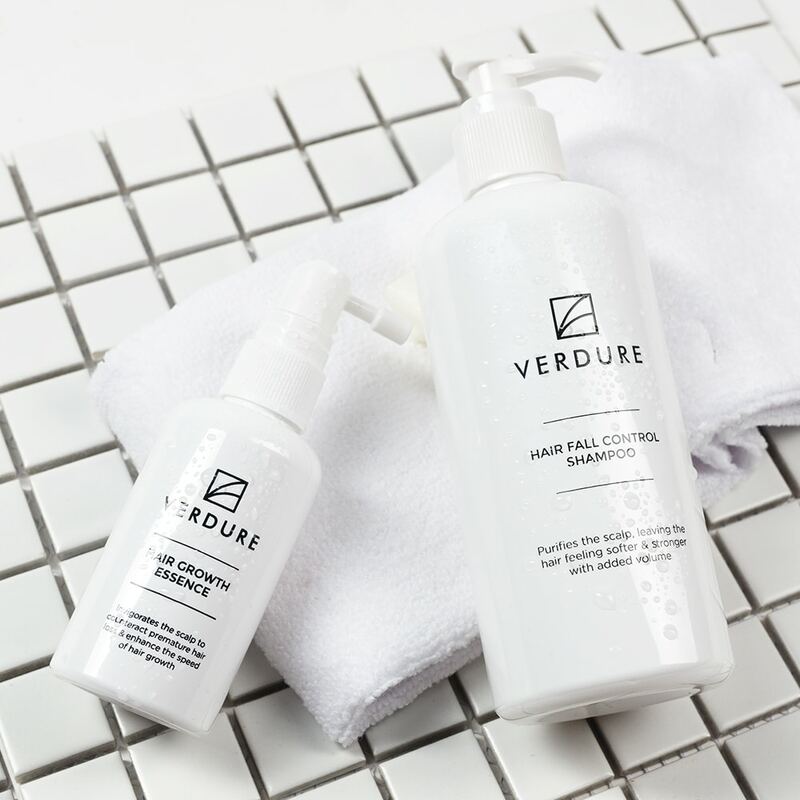 Doing scalp massages can also increase blood flow circulation and reduce stress.And if that doesn’t work, try this new hair care brand, Verdure, which not only offers a botanical shampoo to curb hair fall but also a hair essence to aid in hair growth! Elevated progesterone levels produced by the body to maintain a healthy uterine lining during pregnancy can cause increased secretion from oil glands, sebum buildup, and clogged pores. Even those with glowing complexions during pregnancy can now experience major breakouts after giving birth. This is called post-gestational acne. Hormonal changes, fatigue and the stress that comes with your new responsibility can also take a toll on your skin. 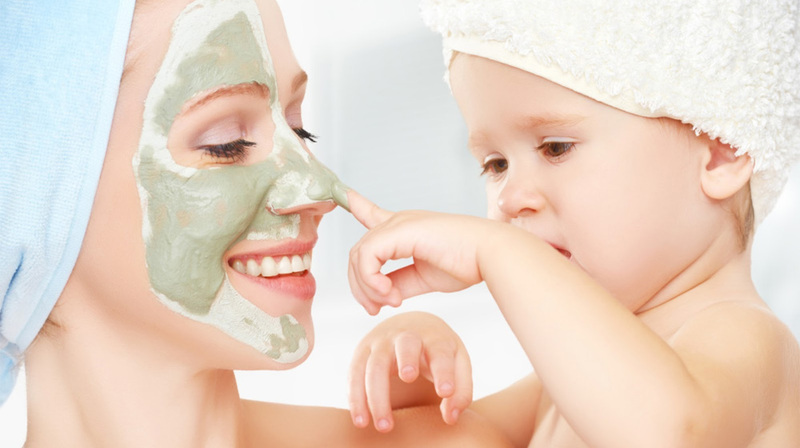 It is important to be extra gentle with your skin so you should use a mild facial cleanser suitable for sensitive skin. 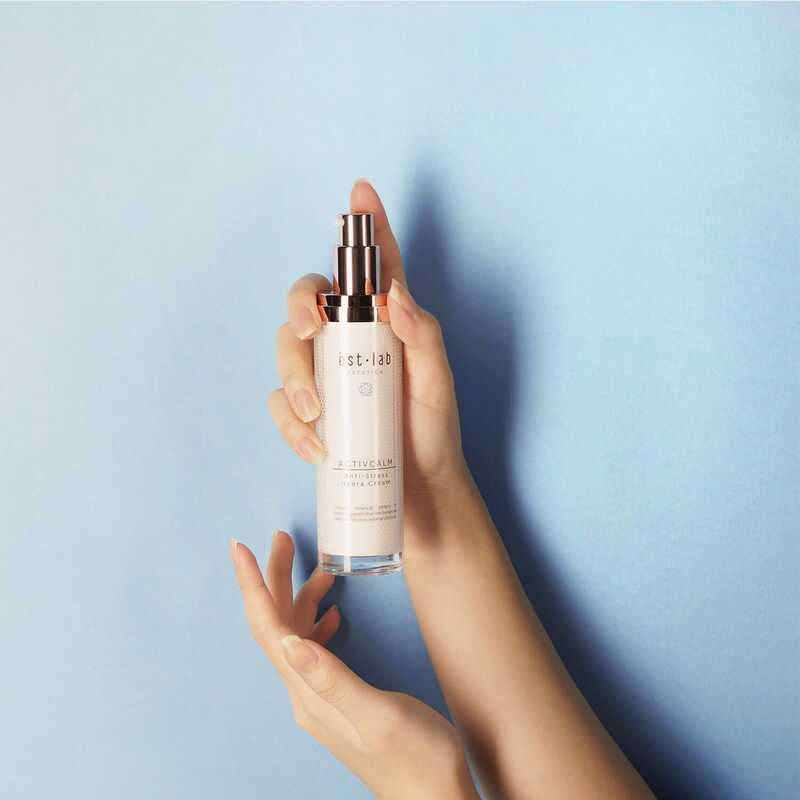 Cleanse your face twice a day with Estetica ést.lab ActivCalm Gentle Hydrating Cleansing Mousse to deep cleanse your pores and then apply a water-based moisturiser like the ActivCalm Anti-Stress Hydra Cream to safely balance your skin’s natural oils. Water weight gain is a common side effect of pregnancy, especially during the last few months. During pregnancy, the body produces higher-than-normal levels of the hormone progesterone which causes the body to retain both sodium and water. Simultaneously, the expanding uterus restricts blood flow to the lower of your body, resulting in swollen ankles and calves. Although you may be eager to ditch the extra pounds, getting rid of water retention takes time.Moderate exercise helps to reduce the swelling in your feet. Try brisk-walking with your baby in the stroller or go for a swim (your hubby can hold the fort for 30 minutes!). It is also important to limit your intake of caffeinated beverages and to stay hydrated all the time. Drink a glass of water after you feed your baby and always carry a water bottle with you. Remember that the extra weight does not go away automatically after childbirth but with a healthy diet and lifestyle, you will get back in shape in time to come. Who knew a little burrito can cause so much sleep deprivation in your life? Exhaustion and water retention can lead to under-eye pouches while poor blood circulation results in dark under-eye circles. 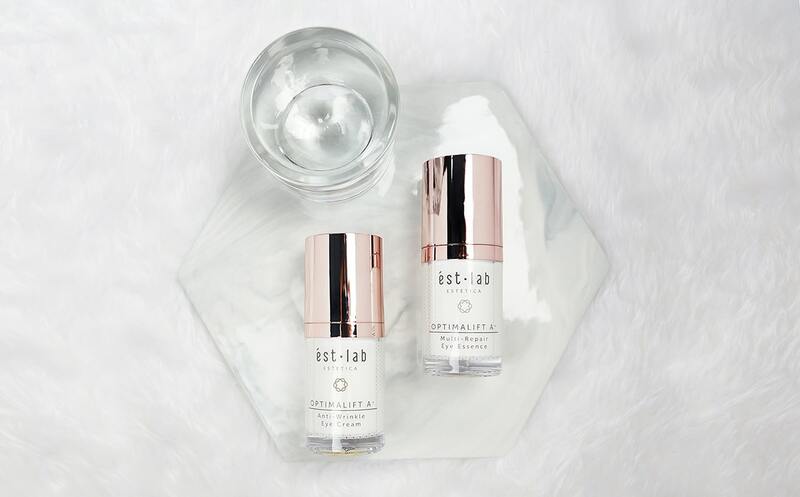 Estetica ést.lab’s Eye Care Range uses nourishing ingredients like Myoxinol LS 9736, SYN-HYCAN and Eyeseryl to help hydrate the eye area, reduce puffiness and minimise the appearance of fine lines. The OptimaLift A+ Anti-Wrinkle Eye Cream is specially formulated to reduce crow’s feet, improve elasticity and combat signs of ageing around the eye contours while the OptimaLift A+ Multi-Repair Eye Essence is packed with a composition of luxurious and powerful clinically proven active ingredients for the whole shebang – it reduces the appearance of eye bags, dark eye circles and wrinkles. For that 20-minute relaxing me-time that you so deserve, apply the ést.lab OptimaLift A+ Eye Contour Mask that is made from organic bio-cellulose material that restores youthful radiance around the eye contours. Even though your life is now changed forever the moment you became a parent, the stresses of the first weeks of your newborn won’t last forever. As Elizabeth Stone puts it: “Making the decision to have a child – it is momentous. It is to decide forever to have your heart go walking around outside your body”. It is normal to feel anxious for your little one but remember to find the joy and laughter in caring for your baby! If your baby hasn’t settled yet, rest assured he/she soon will. Most importantly, enjoying pockets of time to relax and pamper yourself is crucial for your overall well-being. Remember – a happy mother makes a happy baby!